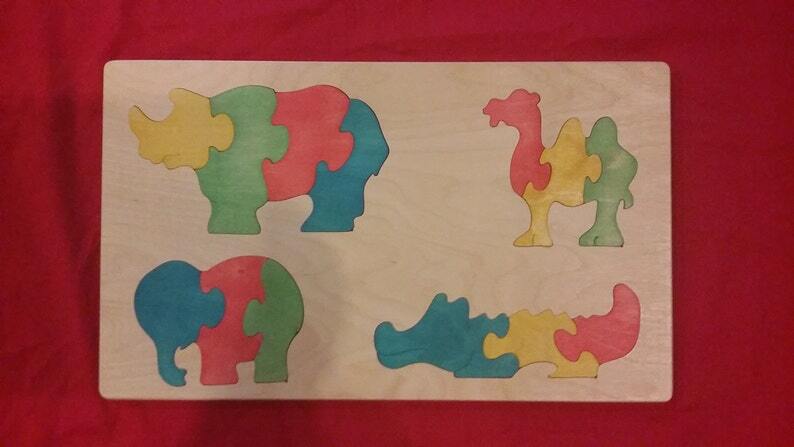 • Whole puzzle non-toxic and made to last! The puzzle is colored with food coloring 100% Safe for children. Both sides of the puzzle pieces are painted the same color. 1. Click to order and pay. Ships right away (if in stock). We'll let you know, by return email, what our current projected ship schedule is. 1. Please note in the "message to seller" box the ship-to name, address and zip code. 2. Then in the same box, give us a short note you would like us to write in the card. We do not gift wrap…sorry! *QUESTIONS? Please feel free to give us a call.